An industry-leading creative workflow management system. 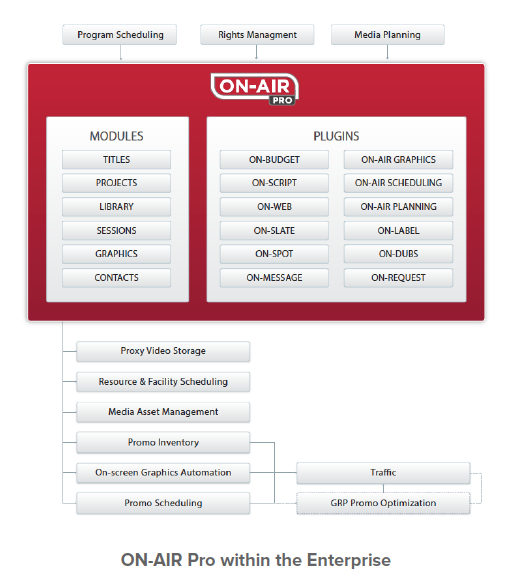 ON-AIR Pro™is a modular workflow system built exclusively for entertainment marketing to flexibly manage the complete on-air promotion process. 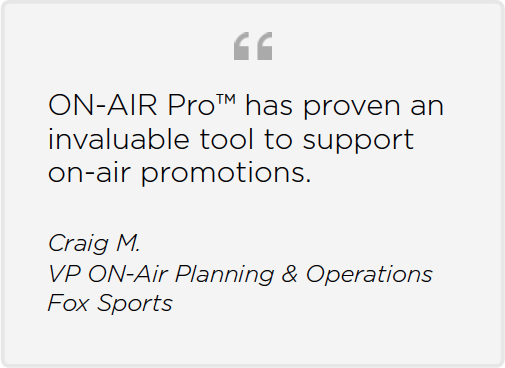 ON-AIR Pro™ is designed to accommodate any network—large or small. Each module is organized to parallel a standard on-air process, from program scheduling to promo production. Providing real-time insights and full operational control of your entire creative workflow within one comprehensive system. Eliminate problems associated with backing up work, sharing scripts, creating and interpreting file naming conventions, and distributing updated versions of work orders and schedules.